Hatsune Miku + Corolla = ? 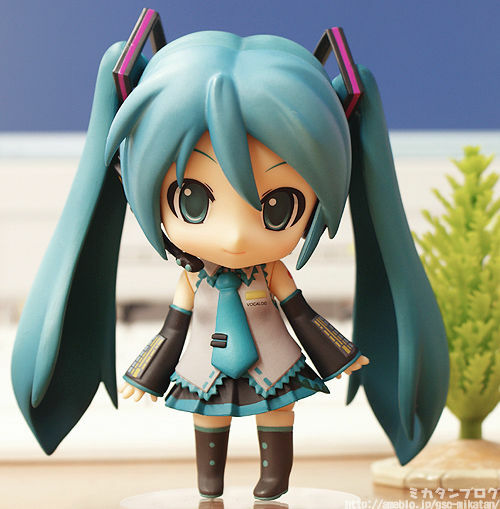 Hatsune Miku is a “vocaloid,” which means, rather than synthetic music, she is a synthetic singer with an unnaturally high pitched voice through the use of a computer program. Being a product from the ground up, she – and the software to “make” her “songs” – has been promoted with great fanfare. Now she is serving as a poster girl for the Toyota Corolla. Anyway, here’s the video from the very much official Toyota web page. This entry was posted in Culture, Japan, Music and tagged commercial, culture, Hatsune, Japan, Miku, Toyota, video, vocaloid, YouTube. Bookmark the permalink.